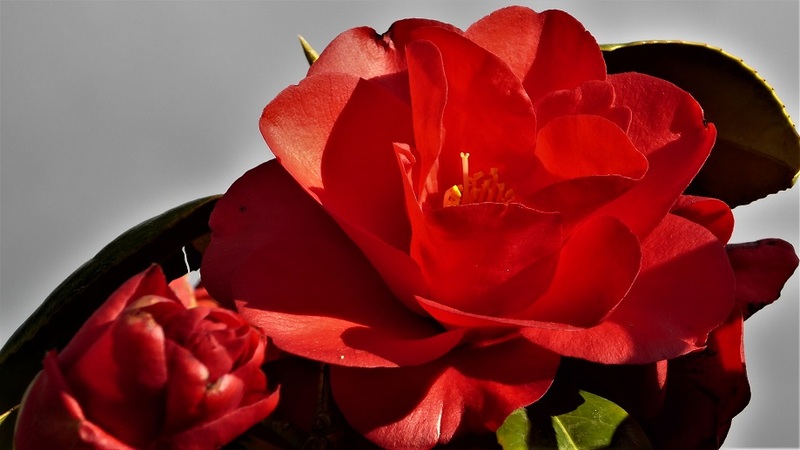 It's mid winter in Melbourne and my Camelias are in bloom. Both of them flower at the same time, which was not always the case. Its almost as if they have synchronised their timing. 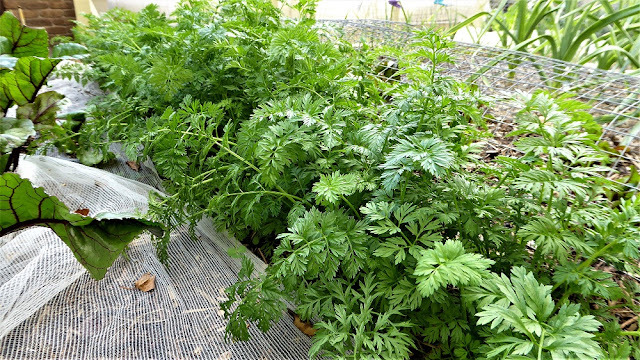 My carrots were propagated in an EcoPropagator in clusters of 5 or 6 seeds. By transferring the seedlings well before they had outgrown their cells (in the seed tray), I hope to minimise root disturbance. So far they look fine, but the proof of the pudding will be in the eating. I'm looking forward to that. 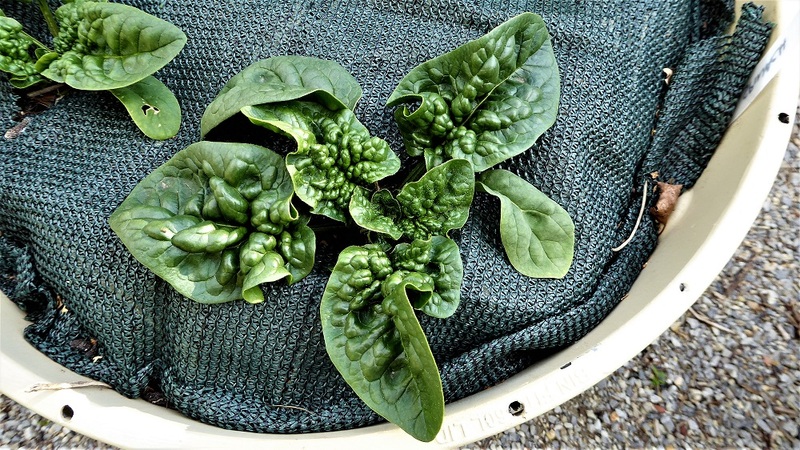 There are 4 English Spinach plants in this Ecobin, and they are all doing well. 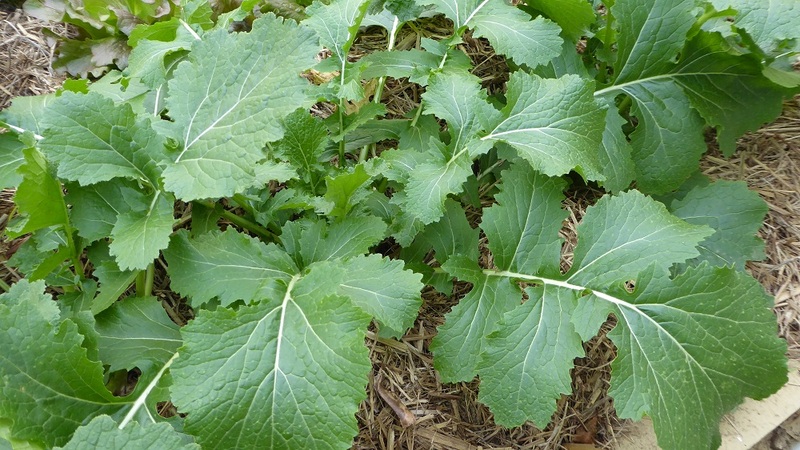 I have already taken the first crop of outer leaves, and will continue with this process to extend the harvest much longer than usual, and make the plants more productive in the long run. My coriander self seeds in a big way every year, and I can leave it to do its thing with a bit of irrigated water to help out when its really dry, and an annual application of compost to the soil. 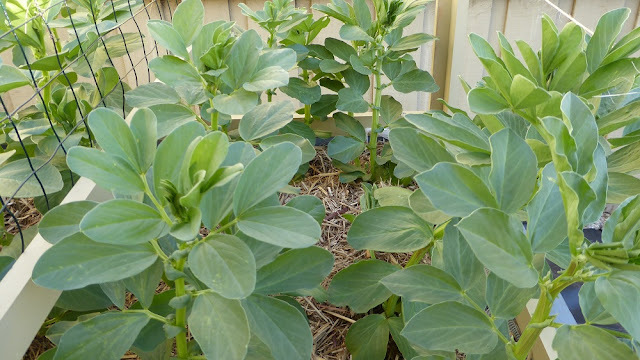 My broad beans are growing strongly and have just started to flower. I have doubled my usual sowing and hope to increase my surplus this year so I can keep more in storage for the cooler months next year. 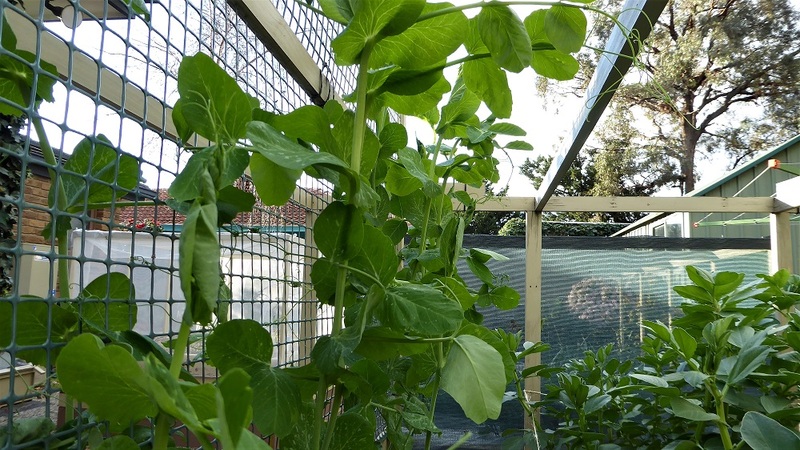 My peas have been tossed around in our usual cold winds at this time of the year, and I may have to tie them to the climbing frame instead of relying on the plants' tendrils. 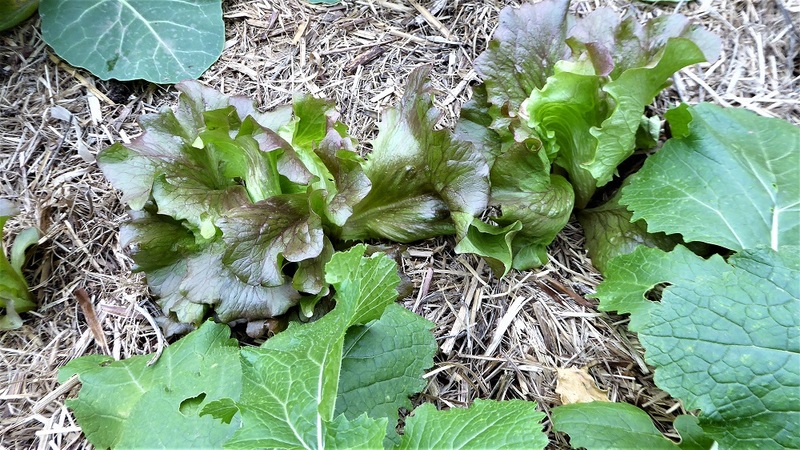 These lettuce will not be allowed to grow hearts since I plan to continuously harvest outer leaves to extend the harvest and boost productivity over time. 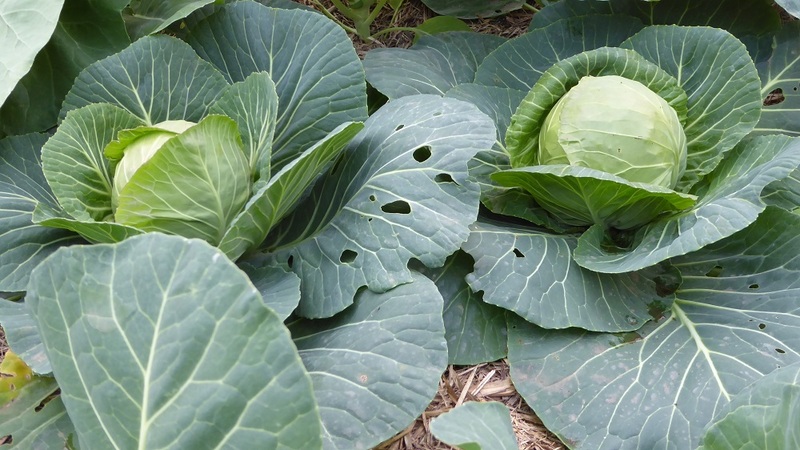 These cabbages were bought as seedlings to cover a shortfall. The holes in the outer leaves were the result of cabbage white caterpillars which may have arrived as eggs with the seedlings. (The brassicas in my garden are protected by exclusion netting). 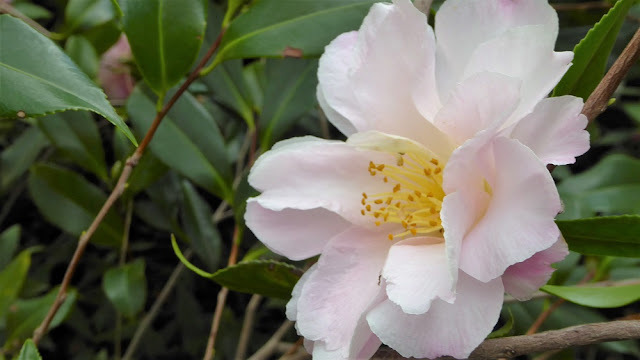 I used bacillus thuringiensis to remove the pest, and there has been no recurrence. My turnips are looking healthy and strong and should be ready for harvest in a few weeks time. 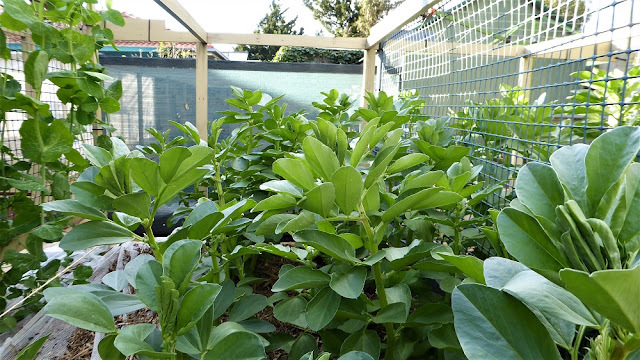 These dwarf broad beans are growing in my small Ecobed. 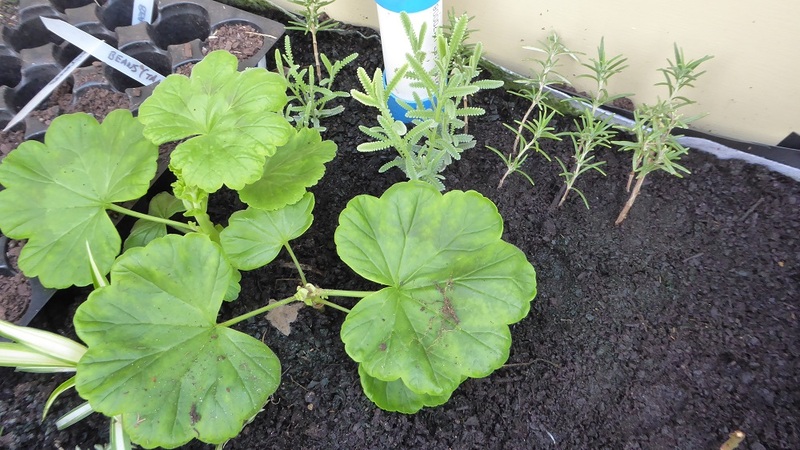 They are new to my garden and I'm hoping they will be ideal for this size of bed. Despite the cold weather, the cuttings are thriving in this self heating EcoPropagator. Labels: #Sustainable Organic Gardening. #Sustainable. #Organic. #Gardening. #Vegetables. #Fruit. 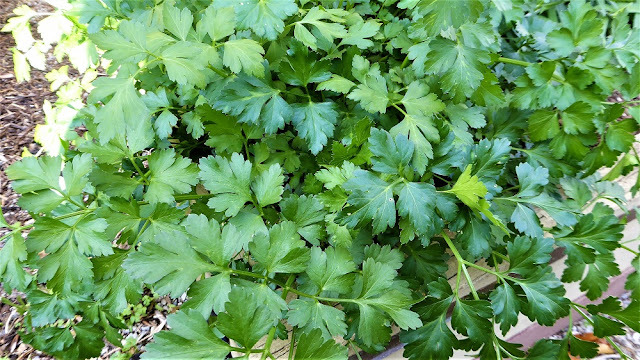 #Herbs. #Hot Compost. #Compost Tea.